Wine gift baskets are a unique and sophisticated gift idea for the wine lover in your life. They make great corporate gifts and personalized business gifts for a favorite boss, client or co worker. We offer an extensive selection of wines, alone, paired with other wines and in a variety of gift basket styles. There is something in our inventory to fit every taste and occasion. 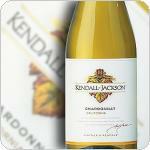 We carry a wide selection of hundreds of leading wine brands. Choose from popular brands, such as Santa Margharita, Ruffino, Francis Coppola and many more. Browse our online catalogue by category to see gourmet gifts featuring champagne, dessert wines, port wines, sparkling wines and wine gift baskets. 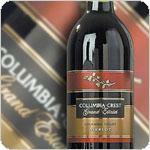 Click the Wine Varietals link to see the varied selection of fine wines to find the perfect personal or corporate gifts. If you don't find the exact combination you want, consider sending a custom gift basket. Choose any of our large wine selection and add other treats from our varied selection to create truly personalized business gifts. All our wine gift baskets include a personalized message card and elegant presentation that is perfect for any gift giving occasion. Our online gift delivery service is the easiest way to send a gourmet gift for business or personal events. You can even set a date in the future for delivery, so important dates don't slip your mind and you aren't rushing at the last minute. All orders are filled through our vast network of local liquor stores located throughout the United States and in cities around the world.